architecture studio MVRDV has designed a temporary structure for a photography festival in breda, a city in the southern part of the netherlands. 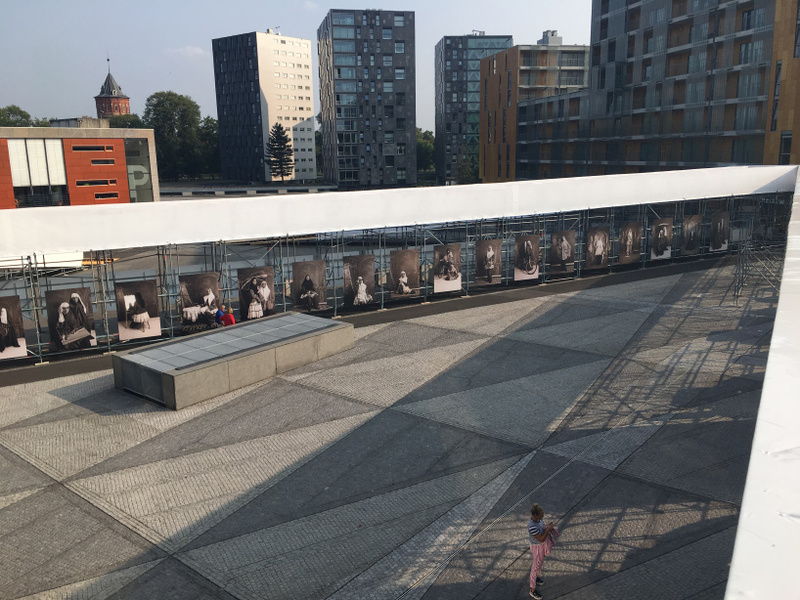 titled the âinfinity pathâ, the scheme takes the form of a raised path that offers views of the city, while providing wall space to display photos as part of the biennial event. the design of the structure responds to the square itself, which was designed by urban design firm west 8. the elevated route follows the existing pattern of the plaza, bringing a new dimension to the space. 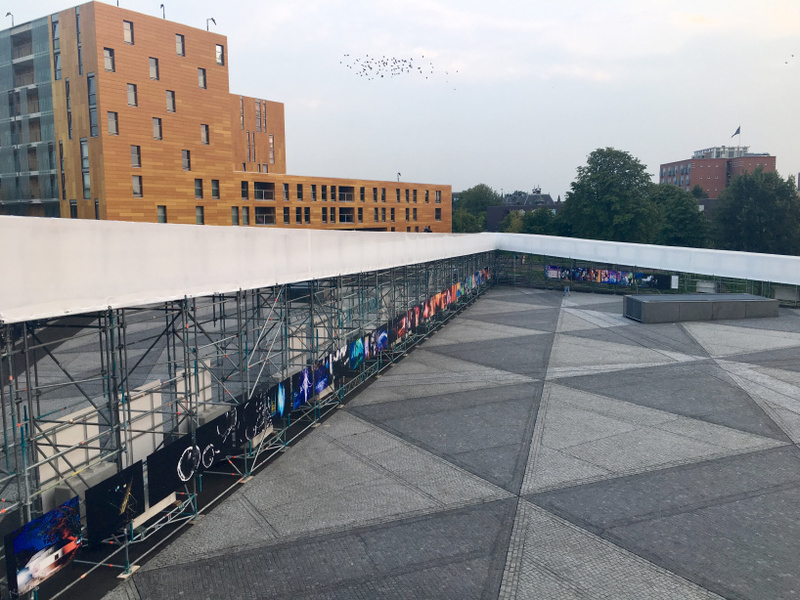 the MVRDV-designed structure has been installed as part of the bredaphoto festival, which continues until octob er 21, 2018. with a total length of 500 meters (1,640 ft) and a maximum height of 6 meters (20 ft), the âinfinity pathâ showcases a range of photography while offer new perspectives of the city. the project continues MVRDVâs interest in designing structures using scaffolding. 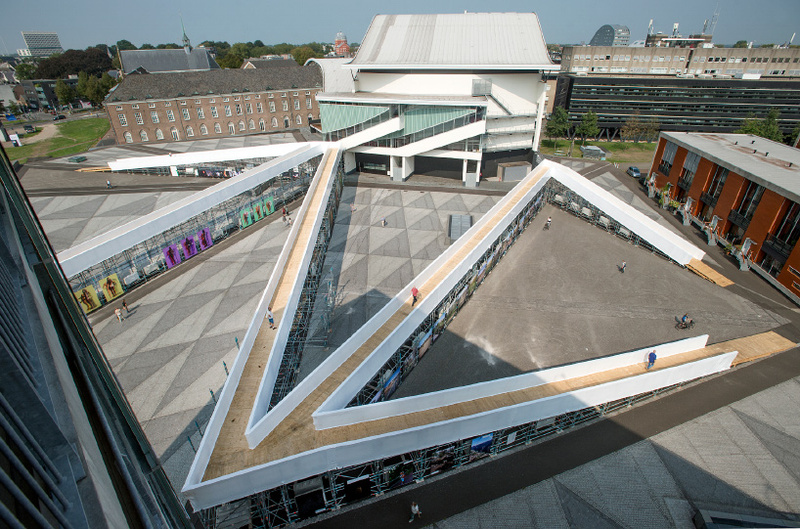 in 2016 the firm erected a temporary staircase that dramatically led to the roof a 43-meter-tall (141 ft) building in the center of rotterdam.